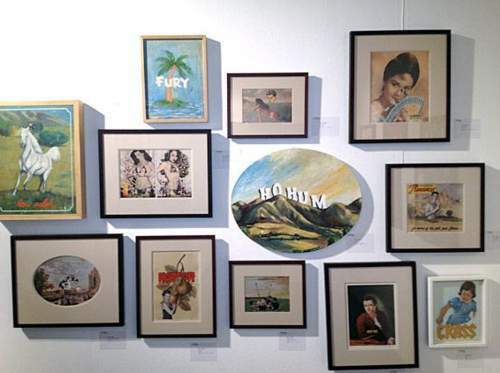 Eric Bryant of ArtInfo.com has picked Filipina artist Dina Gadia’s works-a series of paintings and collages (priced from $420 to $1,000)-as one of the best in the Pulse Miami Art Fair. The 25-year-old Gadia’s pieces are being showcased by Silverlens Gallery. Bryant noted: "The Philippines is a crossroads of influences-from the China and Indonesia to Spain and the United States-and Gadia's manipulation of imagery from vintage imported magazine beautifully captures that culture." In an article first posted on Artes de las Filipinas last July, Gadia revealed that she hails from Anda, Pangasinan and that she is a graduate of Far Eastern University. For more on this story, log on to ArtInfo.com and Artes de las Filipinas.